The post Dam levels decline appeared first on Zimbabwe Situation. The national dam level average now stands at 69,3 percent as water levels continue to decline due to little or no inflows and an upsurge in withdrawals, the Zimbabwe National Water Authority has said. 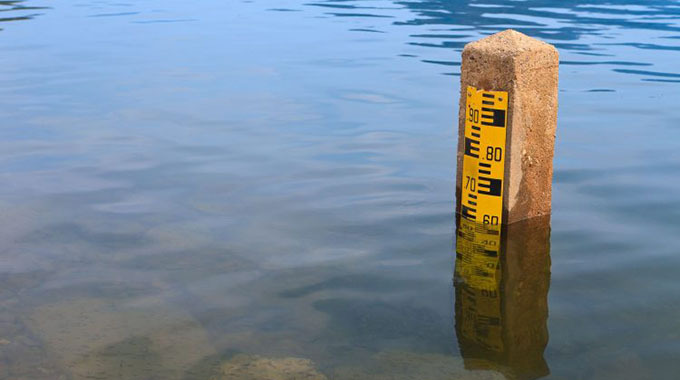 Zinwa latest dam levels statistics show that as at April 12, the national dam level average was 69,3 percent marking a 0,9 percent decline from the previous week. Zinwa corporate communications and marketing manager, Mrs Marjorie Munyonga said Gwayi Catchment has a dam level average of 65,6 percent, Manyame 90 percent, Mazowe 94,8 percent Mzingwane 67,1 percent, Runde 58,8 percent, Sanyati 74,7 percent and Save 82,4 percent. She said the commencement of the winter cropping season is set to increase pressure on the dams. “Zinwa appeals to all farmers who will be involved in winter cropping to ensure that they have the relevant water abstraction agreements for them to have irrigation water reserved for them in the dams. “No water shall be reserved in the dams for unregistered users while Zinwa shall also intensify its monitoring activities along river channels to ensure that all illegal water use is eliminated,” she said. In Manyame catchment, Chivero Dam which is for irrigation and water supply is 84,3 percent full while Mazvikadei Dam is 92,4 percent full. Under Mazowe catchment, Mazowe Dam used for irrigation is 83,9 percent full, while Rufaro which is for water supply and irrigation is 100,8 percent full. In Mzingwane, Mtshabezi Dam which is for irrigation and water supply is 86,4 percent full. Upper Ncema for water supply is 12,4 percent and Insiza which is for irrigation and water supply is 60,2 percent. Under Runde Catchment, the dams for irrigation are Tugwi Mukosi which is 57,3 percent full, Manjirenji (82,3 percent) and Mutirikwi (51, 9 percent) while Wenimbi and Osborne dams both in the Save Catchment are 82,1 percent and 70, 5 percent full respectively. The post Zimbabwe mining firms want ownership restrictions scrapped appeared first on Zimbabwe Situation. 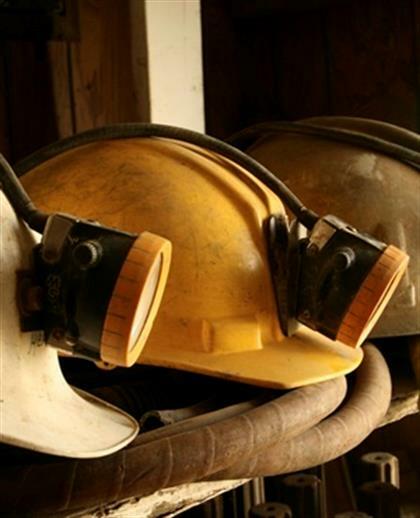 The government has said it plans to do away with restrictions that stipulate that the mines must be 51% owned by black Zimbabweans, but is yet to change the legislation. While the nation’s finance minister Mthuli Ncube has previously said the local ownership law would be scrapped for all minerals, government will, for now, insist that local investors retain control in diamond mining even as it seeks to lure mining giants such as Russian giant Alrosa PJSC, Polite Kambamura, deputy mines minister, said in an interview. Potential discoveries of gems in the southern Masvingo province means government needs time to gauge the potential of the industry, he added. 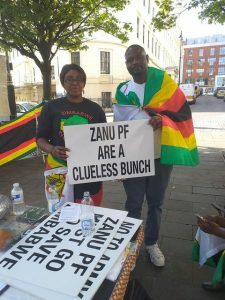 The post Facing the truth – Zimbabwe Vigil Diary appeared first on Zimbabwe Situation. The post Editorial Comment: President needs our support in war on graft appeared first on Zimbabwe Situation. 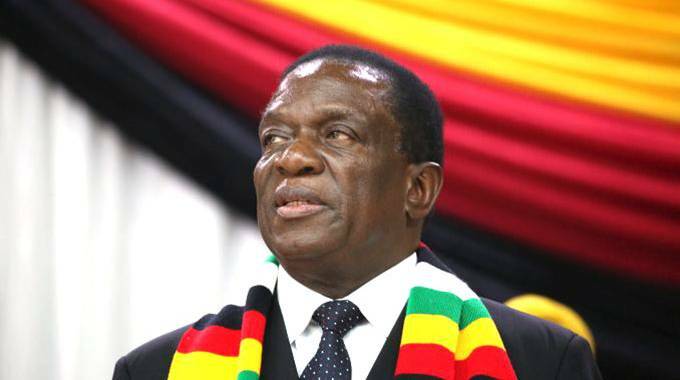 The post Unity, sacrifice key to recovery: ED appeared first on Zimbabwe Situation. PRESIDENT Mnangagwa has urged Zimbabweans to unite and collectively work hard to overcome challenges facing the nation. In an Easter Holiday message to the nation, the President said unity, sacrifice and hard work were key to the country’s economic recovery. He said victory was certain and the nation should draw inspiration from the death and resurrection of Jesus Christ. The President said Zimbabwe will triumph the same way Christ conquered death. “As we celebrate Easter, we commemorate our Lord Jesus Christ’s resurrection. The struggle and victory of light over darkness, of life over death. “In Zimbabwe, we are currently undergoing our own struggle of light over darkness. As we walk the road of transformation and reform, we are guided by our Lord Jesus Christ’s teachings of forgiveness, peace and love, and take comfort from his victory. “For while the challenges we face are significant, we are resolute in our faith that with hard work, sacrifice and unity, we too will triumph,” said President Mnangagwa. The President wished Zimbabweans a blessed Easter. “On behalf of the Government of Zimbabwe and the First Family, I would like to wish all Zimbabweans at home and abroad a blessed Easter. May the Almighty protect and bless our land,” he said. President Mnangagwa has since opened the avenue for dialogue with other political parties in Zimbabwe to ensure that they also have an input in the country’s governance discourse. So far a number of meetings involving political parties that participated in the July 30, 2018 general elections have been held. 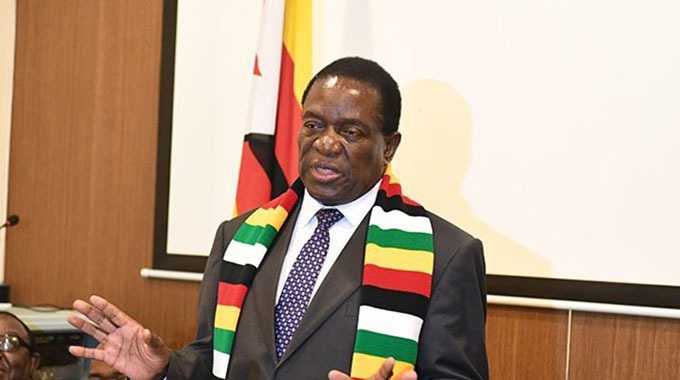 Speaking at a recent inaugural session of the Zimbabwe-Botswana Bi-National Commission in Harare President Mnangagwa said his Government was pushing for national, peace, unity and harmony. “My administration continues to push for greater national peace, unity and harmony and cohesion,” said President Mnangagwa. As such, the President said, the national dialogue platform will allow a broader cross section of the political players to express their views and input into the governance discourse of this country. He said the Government was also committed to dialogue at across the entire region and beyond. Government has also adopted the Transitional Stabilisation Programme (TSP), an economic blueprint which is expected to transform Zimbabwe into a upper middle income society by 2030. The post ‘Gukurahundi inquiry reports lost’ appeared first on Zimbabwe Situation. REPORTS of two government commissions of inquiry into post-independence massacres in Matabeleland and parts of Midlands “have been lost”, National Peace and Reconciliation Commission (NPRC) chairperson Justice Selo Nare has claimed. Nare, whose commission will shortly carry out public hearings into the 1980s massacres and propose a way forward, says they asked the government for the reports of the Dumbutshena Commission of Inquiry which investigated the events surrounding the Entumbane uprising between November 1980 and March 1981 and the commission of inquiry into the Matabeleland disturbances also known as the Chihambakwe Commission of Inquiry which investigated the killing of civilians by the Fifth Brigade between 1983 and 1985. Dumbutshena and Chihambakwe reports,” Nare was quoted as saying by the Centre for Innovation and Technology. He was speaking on the sidelines of the 39th Independence celebrations at Phelandaba Stadium in Gwanda. been misquoted by the media. “The issue of the Chihambakwe and Dumbutshena reports was never discussed by the full commission. 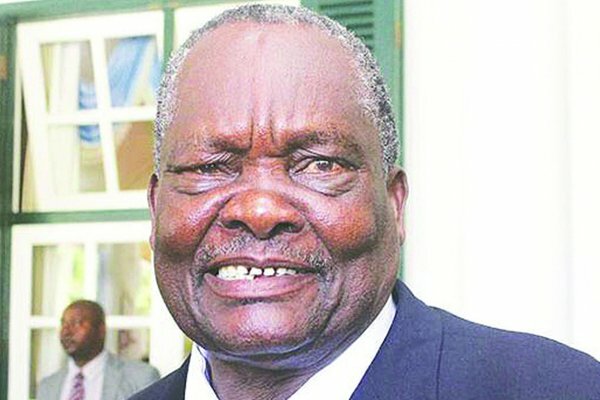 It could be that Retired Justice Nare was either misquoted or was speaking in his personal capacity and not on behalf of the NPRC institution, if indeed he said it,” NPRC said in a statement. In 2000, two human rights groups, the Legal Resources Foundation (LRF) and the Zimbabwe Lawyers for Human Rights (ZLHR), filed an application in the Supreme Court, seeking an order compelling then President Robert Mugabe to publicise the two reports. But then Justice minister Emmerson Mnangagwa, in affidavits filed with the court on behalf of Mugabe, said the Dumbutshena report could no longer be located. during the disturbances. The President recently invited a public debate on Gukurahundi (a Shona word which means the rains that wash away the chaff). Survivors and rights groups say any genuine discussions around Gukurahundi should begin with the government making public the two reports, which have been kept under lock and key. The Dumbutshena Commission, chaired by the now late former Chief Justice Enoch Dumbutshena, presented its findings to then Prime Minister Robert Mugabe in 1981. The commission looked into sporadic violence that broke out starting in April 1980 when Mugabe’s Zanu PF won 57 parliamentary seats out of 100 in the first democratic elections after the war. The violence was reported in the vicinity of guerrilla assembly points all over the country. In November that year, there was a battle between Zipra and Zanla guerrillas, who had been moved from rural assembly points to Entumbane in Bulawayo. There was a second more violent outbreak of clashes in February 1981 at Entumbane which spilled over to Ntabazinduna and Connemara in the Midlands. More than 300 guerrillas, mostly former Zipra, were killed after Mugabe’s government sent in air support. The Chihambakwe Commission, chaired by the former Supreme Court judge Simplisius Chihambakwe, was set up in September 1983 to investigate atrocities by the Fifth Brigade which was deployed in Matabeleland, starting in December 1982 with orders to “combat dissidents”, reference to a few dozen former Zipra fighters who refused to put down arms after rejecting Mugabe’s rule. The commission began its work in January 1984. It was made up of Justice Chihambakwe, two lawyers John Ngara and Prince Machaya (Zimbabwe’s current Attorney-General) and the commander of 1 Brigade Mike Shute. In November 1985, the government, through Mnangagwa, announced that the Chihambakwe Commission’s report would not be made public, which was read by some as confirmation that it was damning on the government. Not many people are hopeful Nare’s commission will get anywhere with its much-hyped Gukurahundi re-examination, pointing to the fact that Mnangagwa and some generals who may be linked to the killings would not want to expose their dark past. He said the public hearings will begin during the first week of May in Kezi before moving to Gwanda, Tsholotsho, Lupane and Nkayi. In order to cover ground, the commission will be split into two groups, one responsible for Matabeleland region, while the other will deal with Midlands province. 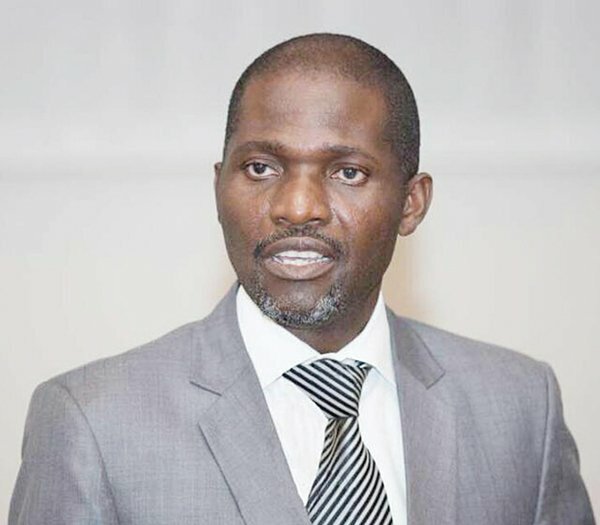 Nare said his commission will be supporting exhumations and reburials of victims, with the first they have facilitated so far set to take place on May 27 in Sipepa, Tsholotsho. “There’s a mass grave near the railway line. It has come to our attention that when it rains, some human bones are exposed. We are, therefore, inviting and hoping that relatives of the victims will come in their numbers to identify the remains through DNA testing,” he said. The post ‘Gukurahundi inquiry reports lost’ appeared first on NewsDay Zimbabwe. The post Anti-graft fight on: President’s man appeared first on Zimbabwe Situation. The national anti-corruption fight is game on. That is the strong feeling of the director and chairman of the Special Anti-Corruption Unit in the President’s Office (Sacu) Mr Tabani Mpofu. Over the past months — close to 24, in fact — there has been a lot of high-profile cases that have been prosecuted against corruption, but the conviction rate has been low. Quite miserably. In his interview with the Zimbabwe Broadcasting Corporation (ZBC) ahead of Independence Day last week, President Mnangagwa said the anti-corruption crusade — one of his key reckoning points — was beset by corruption as the system designed to deal with the scourge, from arrests to the courts, was compromised. The Head of State and Government said he would have to be a little more patient. And in an exclusive interview with The Herald yesterday, Mr Mpofu admitted that the fight was complicated, but sounded optimistic that the cancer would be defeated. Mr Mpofu also spoke about the capacity of the prosecution authority, the legality of Sacu; how Sacu related to the Prosecutor-General’s Office and how Sacu would have the final word on corruption. There is also the uncomfortable question of whether there is bad blood between the prosecution and Judiciary, with recent reports of judges and magistrates sounding off scathing opinions about the nature and quality of prosecutions. All these questions have led to the well-placed skepticism about the current fight against graft. He explained that in the Second Republic, unlike in the previous era where there were no arrests, there had been a new focus in the arrest and prosecution of high-profile figures, bettering the record of arrests without or with delayed trials. However, since 2017 the so-called high-profile figures began to be arrested and caused to appear in the courts, with the appointment of the Special Anti-Corruption Unit in June last year. “Our immediate task was to ensure that those pending matters — that had been pending for seven or eight months would be allocated trial dates,” he said. That included the case of businessman Mr Wicknell Chivayo, he said. 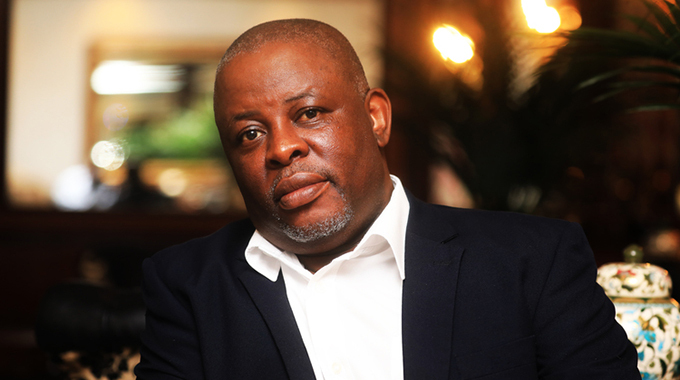 Mr Chivayo was recently cleared of fraud over a solar tender he entered with the Zimbabwe Power Company (ZPC). In the Chivayo case, and in others, Mr Mpofu said the defence made applications that were meant to curtail and delay the cases. Mr Mpofu said his unit worked with the Prosecutor-General’s Office, and was equally equipped with expertise, challenging widely-held notions that the anti-corruption crusade lacked skills. He decried that, as “persons of means” corruption-accused persons were taking a number of steps to stop their prosecutions — provided in the Constitution — including using exceptions, making the cases some kind of football match. He said, the State would not circumvent the processes. Yet, he said, the “majority” of cases that the unit is currently seized with are now ready for trials. “We are happy with the progress we have made in that the majority, the vast majority of the cases that we have dealt with, have actually reached a stage the that we, the State, are ready to commence prosecuting them and we have approached the courts for their trials. The post Mnangagwa won’t take the country anywhere: Busha appeared first on Zimbabwe Situation. OPPOSITION Freezim Congress leader Joseph Busha has challenged President Emmerson Mnangagwa to prove to the nation that he has the capacity to resolve the rising economic challenges facing the country. Busha told NewsDay in Mutare on Friday after visiting Clyclone Idai victims in Chimanimani where he donated groceries worth thousands of dollars, that he doubted Mnangagwa’s pedigree. “I want Emmerson Mnangagwa to prove that he is leading the best government, they should show why they are the best; they should show to us how many jobs they have created; they should show us by building hospitals and clinics; and they should show by helping improve the living conditions of the Zimbabweans,” Busha said. The opposition leader recently described the national dialogue initiated by Mnangagwa as a useless exercise which would not take the country forward. Mnangagwa recently invited the 2018 losing presidential aspirants for talks to share ideas on how to move the nation out of the doldrums. Although the majority of the losing candidates responded to Mnangagwa’s call, others including MDC leader Nelson Chamisa boycotted the process. Busha said he was helping the people of Chimanimani on humanitarian grounds.